Power supply: 100, 110, 220, 230, 240V., 50/60HZ. Strap joint - heat sealed. 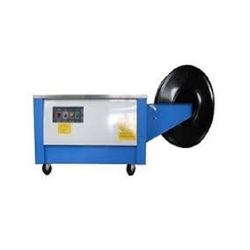 We are offering a wide qualitative range of Auto Strapping Machine that is used in the processes of easy strap loading, auto re-feed, loop ejection and safe dual tension with the assistance of various accessories. On offer from us is a comprehensive assortment of Semi Automatic Strapping Machine which is fabricated in accordance with all the international standards. 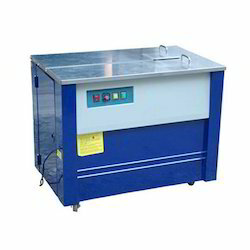 These machines exhibit excellent corrosion resistance, sturdy construction and fast operations. Moreover, we offer these to the patrons at reasonable prices.